7 categories to reward the best technological innovations in the omnichannel, e-commerce and connected commerce sector. There are 7 categories including two categories dedicated to physical retail. In each category the Jury will announce 3 finalists and the laureates will be revealed during the Paris Retail Awards Ceremony on the 10th of September 2018. 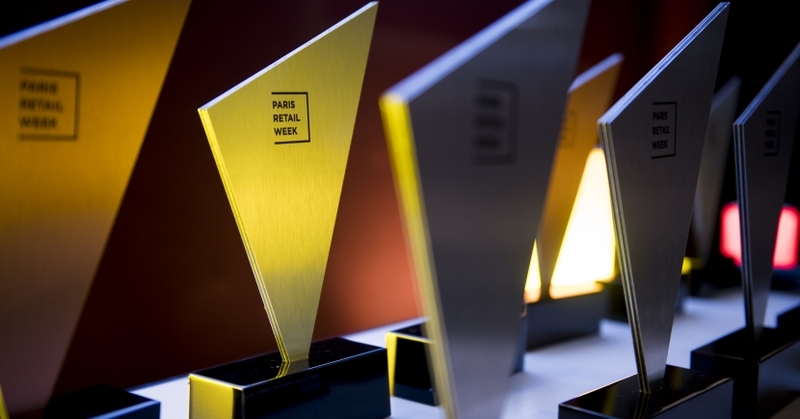 The PARIS RETAIL GOLDEN AWARD 2018 will reward the best innovation among the 7 category winners. For the fifth year, the Rookie Of The Year will reward the promising initiative of a startup. Mechanisms to attract omnichannel customers, regardless of their location / device / time, etc. Implementation of the omnichannel strategy (store, online, multi-device, social shopping, multi-device strategy...). By strategy: real time availability, in-store / online advice, booking & fitting, in-store offers, click and collect, pop-up store, limited time sales events, etc. New uses, new offers to optimize the process of preparation / delivery / reverse logistics, environmental protection, after-sales requests management on social media. Solutions to create engagement, interaction with consumers on social media. Social shopping, crowd funding, social marketing, street marketing operation for gaming. Components, accessories, innovative shopfitting, design. Innovative technological solutions: payment, securing the act of purchase, big data, cloud, core calculator, measurements & analysis, applications.